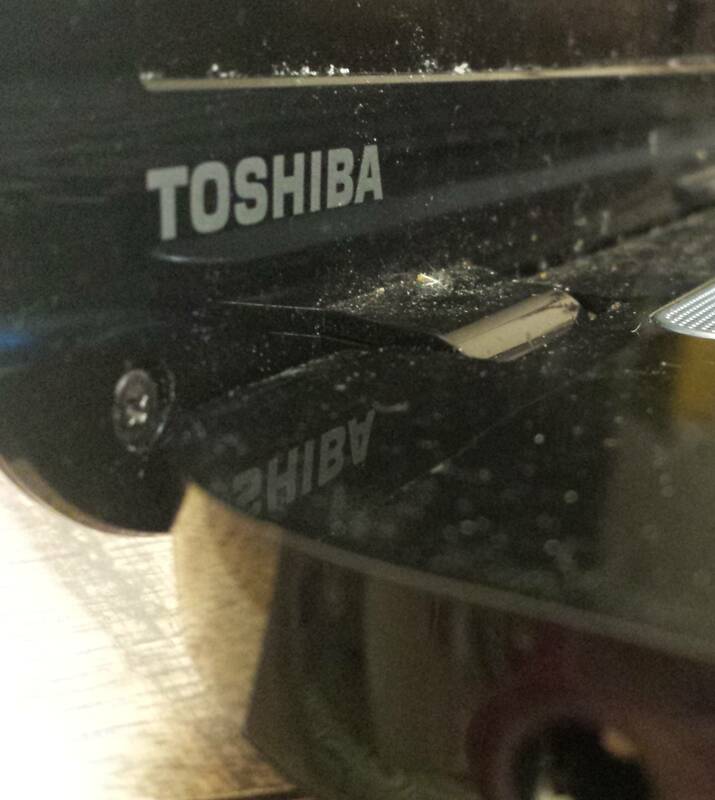 There are two screws on the bottom corners of the LCD bezel. A traditional screwdriver will not sit orthogonal to the screw. There are only a few millimeters of clearance. How can I replace the LCD with/out removing the entire assembly? Unfortunately, you cannot simply remove those 2 screws. You will have to remove the whole assembly anyway because the LCD has a cable that goes into the motherboard. Here is a partial disassembly video. This model has a fan that gets blocked easily. You may as well disassemble and clean the fan while you are replacing the LCD.